While Photonics has evolved over the past three decades, so have our clients. We’ve had the privilege of standing side-by-side with some of the most recognizable names in Cincinnati as their design partner of choice. We also take great pride in working with lesser known brands, who rely on strong partners to elevate their creativity and communications strategy. A major focus of Photonics has always been working with nonprofits to create their portfolio of logos, marketing collateral, and websites. No matter the size, we like partnering with clients who are passionate about their work and who value strong designs to create effective marketing communication. In the short period of time that I’ve had the pleasure of working with the Photonics team, they have impressed me most with their keen understanding and appreciation of small business operations and constraints. They have tackled each and every challenge that we have thrown at them. Creating awareness for B2B technologies (Pendant Armor®) that challenge the market perceptions of what is possible. Streamlining SEO/SEM management for our family of online companies. Getting small, tech start-ups engaged in social media. Technical translation services and reformatting test documents, accreditation certificates, etc. In short, Photonics offers me BOUTIQUE agency service and cost effectiveness, with BIG agency capabilities. They are incredibly competent and friendly people to work with to boot! You won’t regret working with the Photonics team. Thank you for all your support while I was at CYC. Many projects I never would have been able to deliver without your insight, your perspective, or your skills. 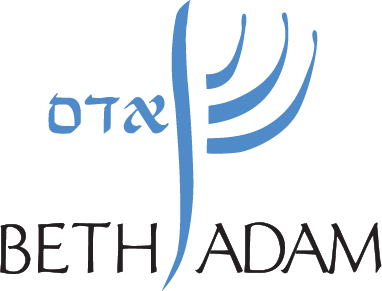 My experience with Photonics originated with my organization’s need to develop a strong brand image. To begin the process, Alan and his team spent a large quantity of time learning what we do and how we do it, as well as getting to know the people and the culture at Foxtail Foods. The care they took to gain this understanding was integral to their successfully creating a clear, impactful image. Repeating this image across all modes of communication has gained us awareness and credibility within the industry, proof of which comes to us by way of new customer contacts and our incremental sales growth. Photonics helped IHM on From the Mountains to the Sea luncheons raise over $30,000 for our two twinning communities. We could not have done it without you. God bless you for all that you have done for us. Just with the 4 luncheons, CCBN & OLM are over $100,000 richer. God bless you for believing in dignity and the empowerment of education..
We have worked with Photonics for web development and graphic design services for many years. They provide the depth of creativity, professionalism, and experience we need to have consistent branding in all of our communications including and especially a dynamic engaging website. Feedback so far has been really great! I love having a site that I can be proud to refer people to instead of the old site which was embarrassing! 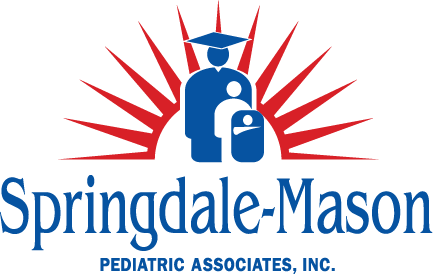 I have worked for Springdale-Mason Pediatrics for eighteen years. I was involved in the creation of our first website which was created just to have a presence on line. We needed a website that reflected our practice philosophy and concern for our patients and their families. After we interviewed five companies we decided on Photonics. It was a great choice for our practice and we have not had any regrets. Photonics created a colorful and interactive website which has a great deal of useful and informative information to help our families as our patients’ transition from birth to 21 years of age. Alan at Photonics Graphics has always shown patience and understanding while guiding us through the creation and updates for our website. Photonics did not just create our website and walk away. They continue to encourage and guide us in order to keep the website fresh and updated so our families have reasons to visit our website on a regular basis. Our website is not just for new patients looking for a Pediatrician. Springdale-Mason Pediatrics is a busy medical practice and sometimes it is difficult to get us working on news and updates for the site but Alan keeps us on the right track in a very gentle but determined manner. Photonics has always been available and responsive to resolve any issues, concerns and changes to our website. Any problems that might arise are fixed immediately sometimes before we even know they exist. Photonics also reviews our website on a regular basis to make sure we are getting the response and visits necessary to keep our practice accessible in the internet environment. Our experience with Photonics has been a great experience from the beginning and we have no regrets or second thoughts about our decision. I would highly recommend Photonics to any business that is looking for a positive presence with their website.